BEDFORD CA VAN. FUEL PUMP REPAIR KIT. Bedford Rascal 1.0 bomba de combustible eléctrica ENT100041. engitech. BEDFORD CF 2.1 LITRE DIESEL. 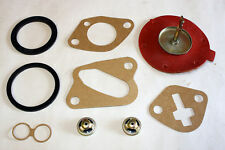 Gasket Set forDPA type diesel fuel injection pump seal gasket repair kit. Commonly Fits Part number: 7135-110. Ford Tractor. David Brown. BEDFORD CF 1.8 2.3 PETROL. BEDFORD CF DIESEL 2.3 LITRE. This is a CAV diesel pump to suit Bedford leyland 4cylinder Diesel engines. Please check serial plate as I don’t know much about this pump. It was rebuilt at some point but I don’t know when. All levers are free. Recommend a clean before using. Please view my other items for more Volvo parts. Part numbers must be checked for compatibility I will not be held responsible for incorrect parts. Any models given are for a guide only. All items are sold as seen. BEDFORD VAN DIESEL MOTORE PERKIN S 4-108 DAL 196 9 AL 1973. POMPA GASOLIO NAFTA. ACTIVITIES AS ' LINE NOT CARRY ON THE WITHDRAWAL OF A HAND ' OBJECT. TOO BUT WITH ALL THE KINDNESS IS RESOLVED hate the arrogant. PETROL FUEL PUMP REPAIR KIT. BEDFORD CF 1600 1800 2000 2300. FUEL PUMP REPAIR KIT. BEDFORD CA PERKINS DIESEL (1961-1965). FUEL PUM P., Kenton, Devon. 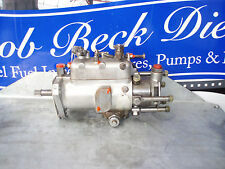 FUEL PUMP BEDFORD CF 2300 DIESEL. BEDFORD VAN CF MOTORE PERKINS 4-154. WILLYS PICK UP MOTORE PERKINS 4-203 DAL 1965. POMPA GASOLIO NAFTA. ACTIVITIES AS ' LINE NOT CARRY ON THE WITHDRAWAL OF A HAND ' OBJECT. TOO BUT WITH ALL THE KINDNESS IS RESOLVED hate the arrogant. 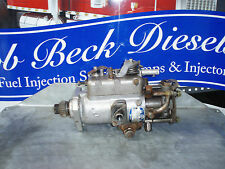 Bedford CF 2100 & 2300 diesel fuel pump. Will fit models from 1976 to 1987. Tatty box but contents are fine. This pump is made by Powertrain PMFP 76. 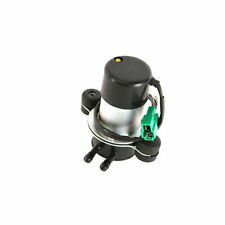 Powertrain PMFP 76 diesel fuel pump. Bedford CF 2100 diesel 1976 to 1980. Bedford CA Van (Petrol Version Only) (From 1955- 65). This kit includes several different pump / block gaskets as it's used on lots of different cars. Here's a newFuel Pump Repair Kit for the following models fromBedford -. BEDFORD JO 2.2 LITRE PETROL. NEW FUEL PUMP REPAIR KIT. (BEDFORD TK. we need your old pump). DIESEL INJECTION/INJECTOR PUMP. PART NUMBER. Bedford Astravan, Astramax 1.3 Lt 1981-. Opel Ascona Mot. 348041. 1.3 Lt 1979-09.81. Opel Ascona C 1.3 Lt 10.81-. Opel Kadett Mot. 348041. 1.3 Lt 08.79-08.82. Opel Kadett 1.2 Lt 09.82-. POMPA BENZINA. POMPA BENZINA VINTAGE SENZA DATI APPLICAZIONE PAD 1021 BEDFORD ?? ALFA GIULIA DIESEL BEDFORD PERKINS. 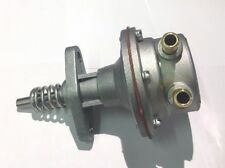 POMPA CARBURANTE A.C. BEDFORD/OPEL. Autoricambi Cimino, Via XXIV Maggio 82/84, 86170 Isernia (IS). Diritto di Recesso. (vedi sotto per il Diritto di recesso). I dati per eseguire il bonifico si trovano alla voce "INFO BONIFICO". Vauxhall Magnum, Viva 1.8, 2.3 1973-1976. Bedford CF 1.6-2.3, Petrol to chassis EY62680 1969-1975. Channel Islands. We're sorry about that. We will need a full report detailing how the part has been diagnosed as faulty and without this letter we are unable to make any warranty claims. CF2 230 2.0 Fourgon 78cv, 250 2.3 D Châssis cabine court 61cv. CF 250 2.3 D Châssis cabine court 61cv, 250 2.3 D Fourgon 61cv, 280 2.3 D Châssis cabine court 61cv, 280 2.3 D Fourgon 61cv, 340 2.3 Fourgon 79cv, 350L 2.3 D Châssis cabine court 61cv. MOTAQUIP VFP265. BEDFORD ASTRAMAX VAN 1.3 1297cc 1985 - 1989. BEDFORD ASTRA VAN 1.3 1297cc 1982 - 1989. BEDFORD ASTRA VAN 1.6 1598cc SV ENG. 1986 - 1990. Bedford CF. Vauxhall Carlton & Frontera. Opel Ascona, Manta, Commodore, Corsa, Kadett, Monza, Rekord, Senator. Vauxhall Astra, Belmont, Carlton, Cavalier, Chevette, Firenza, Royale, Viva, Victor. Vauxhall/Bedford Beagle Estate, Chevanne, CF, CF2. BLITZ (CF97) 1.8. BLITZ (CF97) 2.0. 353 Break 1.3. 100 (44, 44Q, C3) 1.8 quattro. 100 (44, 44Q, C3) 2.0 CAT. 100 (44, 44Q, C3) 1.9. 100 (44, 44Q, C3) 1.8. 100 (43, C2) 2.1. BLITZ (CF97) 1.8. BLITZ (CF97) 2.0. Y10 1.0 CAT. 353 Break 1.3. 100 (44, 44Q, C3) 1.9. 100 (44, 44Q, C3) 1.8. 100 (43, C2) 2.1. 100 (43, C2) 2.0. Autoricambi Cimino, Via XXIV Maggio 82/84, 86170 Isernia (IS). Diritto di Recesso. (vedi sotto per il Diritto di recesso). I dati per eseguire il bonifico si trovano alla voce "INFO BONIFICO". Puoi inviarci copia del bonifico in modo da velocizzare le operazioni. POMPA ACQUA. EM AUTOMOTO. Si prega di. maggior sicurezza ! 2 : Per l'. informazioni relative. FORNITA DA NOI). (OLTRE CHE A QUALSIASI TIPO DI ASSISTENZA. Van de Bedford CF 4-154 PERKINS. WILLYS PICK MOTOR DE PERKINS 4-203 DE 1965. Bomba ACEITE DE COMBUSTIBLE DIESEL. Recordar Nosotros son en la Guarde y Nuevo Regiones Nuevo FIESTA de CAPITAL Fondo. ACTIVIDADES como ' línea no llevar en La Retirada de A mano ' objeto. BEDFORD VAN < abarcan clase = notranslate ' > motor Diesel PERKIN S 4-108 DE 196 9 EN 1973. para D 4-108 DE 1969 TRÁNSITO PERKINS MOTOR V10-40 1973. Bomba ACEITE DE COMBUSTIBLE DIESEL. Recordar Nosotros son en la Guarde y Nuevo Regiones Nuevo FIESTA de CAPITAL Fondo. Pompe à essence Soparis pour R ef Soparis: 8443. Admiral B H et S 2800 69->77. Manta A 1600 16S et AT 75->82. Manta B 1600 16S et AT 76->79. Manta 19 1800 S, AT, CH et SW 75->. Manta A19 1900 S, SR et AT 75->78. DELPHI HFP159. OE: PON113. PERKINS A3.144, 3.144, AD3.144, AD.152. DIAPHRAGM TYPE. DIESEL LIFT PUMP TO FIT. INLET AND OUTLET PORT SIZES: 1/2" X 20 UNF. ASTRA 1.3 1982-1984, 1.4 1989-91, 1.6 1980-86. BEDFORD BLITZ. J2 VAN PETROL (1967 ->). J4 VAN PETROL (1967 ->). SPITFIRE 1300 (67-74). P SERIES COACH 214 PETROL. P SERIES COACH 300 PETROL. 2.6 LITRE PETROL (71-84). 2.25 LITRE PETROL (83->).